Successfully Added GPS Tracker and Data Logger to your Shopping Cart. 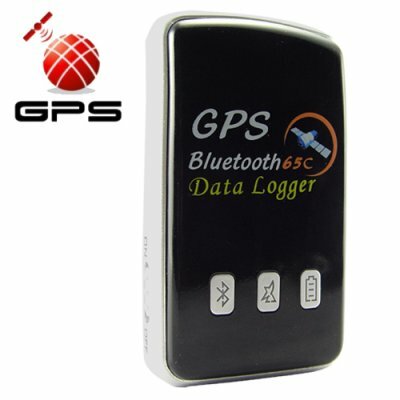 GPS Track Tracker and Data Logger (Wireless). This compact, lightweight device has dual functionality with both an integrated GPS receiver and GPS data recorder. Featuring a high sensitivity GPS chipset, the GPS Tracker accurately records your movement and route, storing the information in its internal memory. Simply pair the device with your PC via Bluetooth to retrieve this information wirelessly using the supplied software. This enables you to trace and plot your route at your convenience. Suitable uses include asset protection, security personnel, field workers, distributors, long haul firms, supply chain personnel, general route mapping and keeping track of children or pets. This is a great product for tracking the movement of people and vehicles to ensure safety or to monitor logistics. Note: This device will require a PC / PDA with Bluetooth capability. Chinavasion carries a selection of high quality Bluetooth adapters. These are located in the Bluetooth Adapters category.